In an effort to spread the word, George from Lightload Towels offered to send me a free sample of his unique product. It was an offer I couldn't refuse since they are billed as “the only towel that is a survival tool.” I wonder, does Bear Grylls know about this? When the package arrived in the mail, they were even smaller than I expected. Doubts began to arise as to their efficacy absorbing water, but first, a few details. At 12 x 24 inches (30 x 60 cm) and 0.6 ounces, it is about as small in area as the paktowel I brought on my trip around the world, though thinner and lighter. I've learned size doesn't matter as long as you can wring-out the water absorbed by your towel. In addition to these potential uses, the towels are individually wrapped in waterproof plastic, protecting them until needed, and 100% biodegradable. When I opened my first towel, I was able to slowly unwrap it while dry, however I later read online that they are easier to undue once wet. I was satisfied with the towels performance as a travel towel, namely that it can absorb a lot of water, be wrung-out, and reabsorb more water well. I also found the length sufficient for it to be used as a head covering (especially useful for us bald folks). 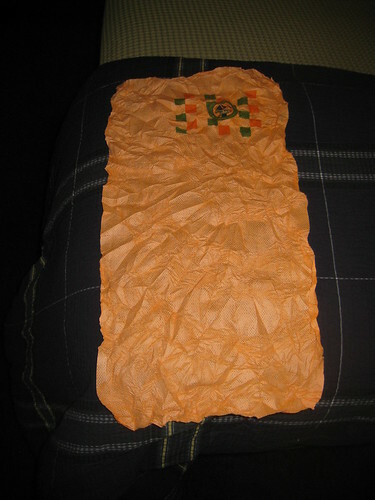 And indeed, it can be fashioned as a face mask too, which is something I used my bandanna for in dusty Nepal and India. The last question on my mind was how flammable it was because I'm not the best at building campfires. It only took one match to find out. 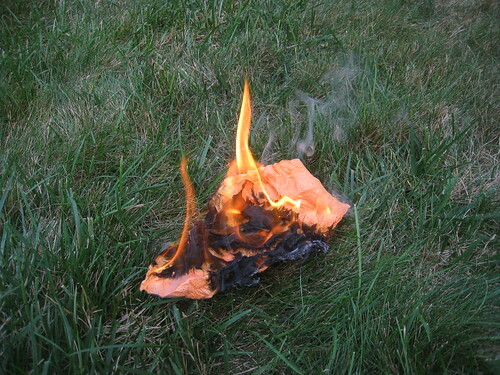 The dry towel lit up like a piece of paper, and burned into almost nothing. 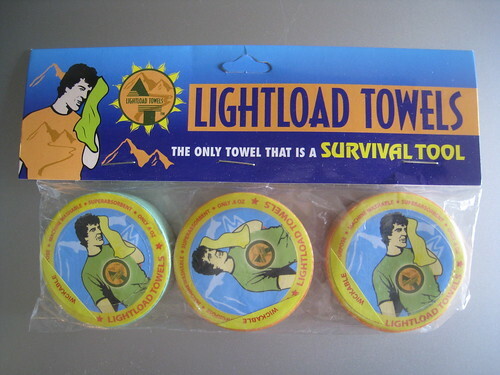 Overall, I found the Lightload Towels to be a good all-purpose item to carry with you while camping or traveling. Check out the Testimonials page for some interesting uses not mentioned here. At $5.95 for a 3-pack, you really can't go wrong. It looks really useful. I travel with my 4yo and hope to start traveling more when he turns 5. A light towel is always useful for outings with kids, not to mention for traveling. Last time we went out I kept with me a microfiber kitchen towel ;) It was OK, but I’d love to try one of these. Sometimes I need a water filter. it packs down to the size of a fifty cents piece!